Please complete the form below and your enquiry will be sent directly to Saxon Lodge via email. 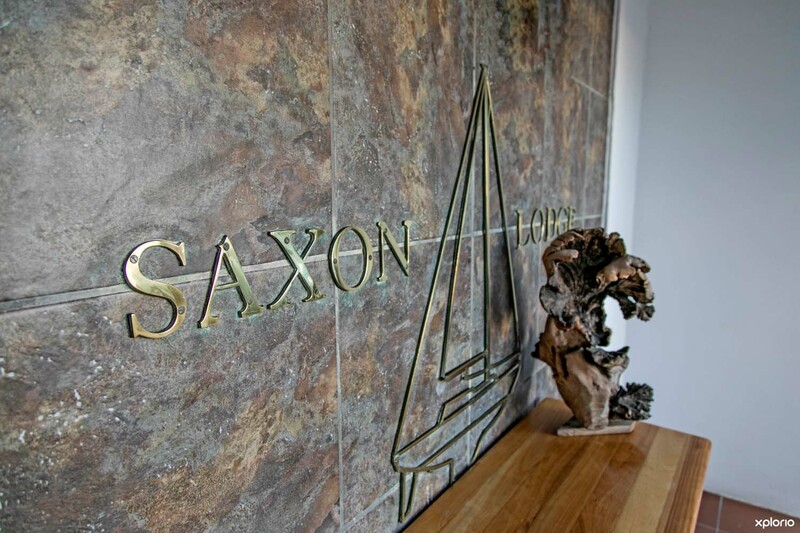 Your enquiry has been sent to Saxon Lodge. 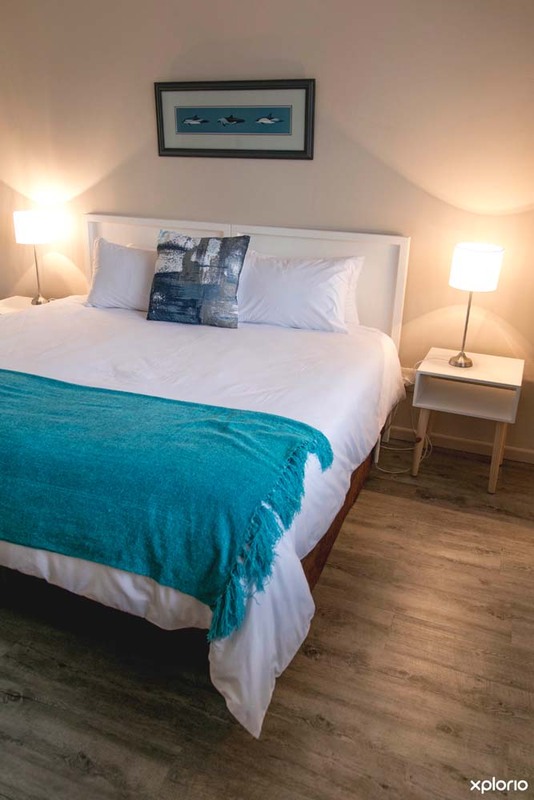 Overlooking Walker Bay and Gansbaai Harbour, Saxon Lodge offers comfortable, down to earth accommodation for you to unwind and relax whether you are on holiday, on business or passing through. 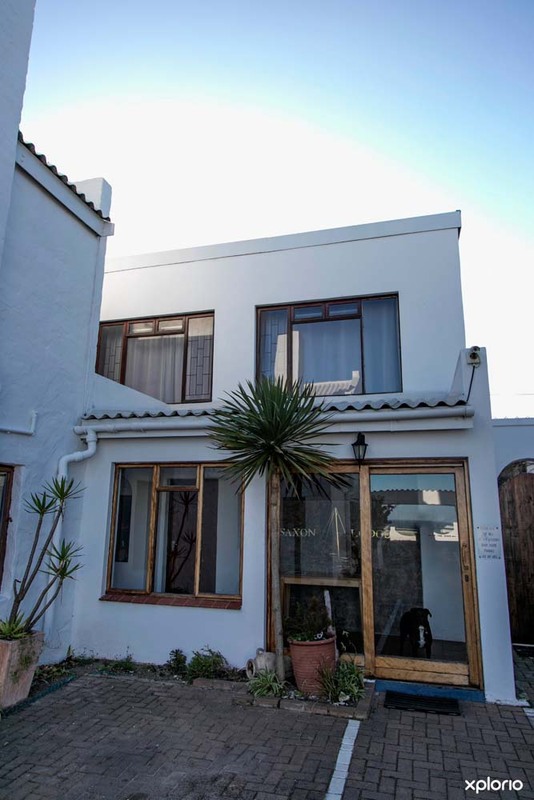 Conveniently located in central Gansbaai, close to shops, restaurants, banks and close to shark diving, whale boat harbours and beaches. 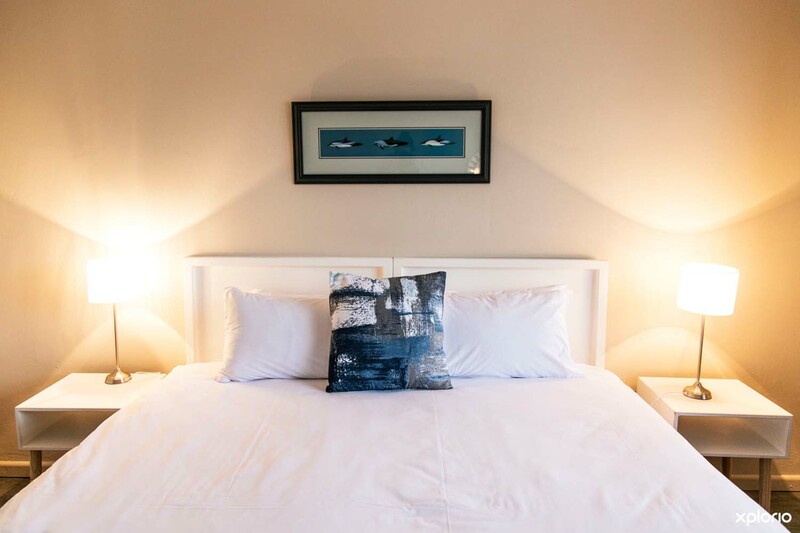 Unwind in one of our spacious, individually decorated suites with private entrances and verandas and take in this amazing eco-adventure paradise. 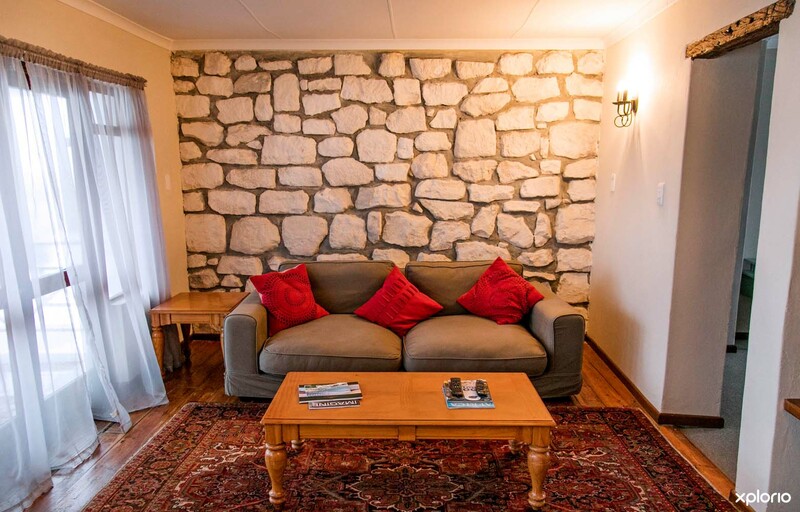 From the lodge it is an easy walk to shops, banks, pubs and restaurants. 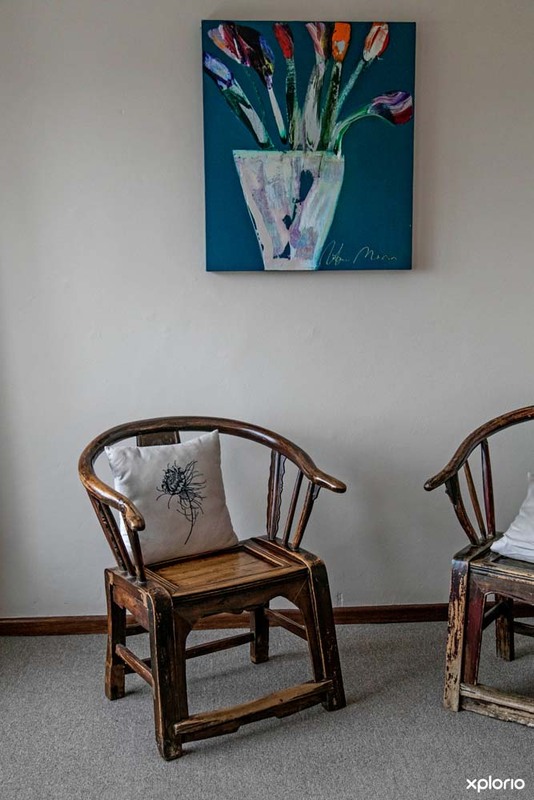 We also have our cosy and popular licensed and well stocked bar, The Saxon Arms, catering for residents only, specialising in local wines and craft beers. 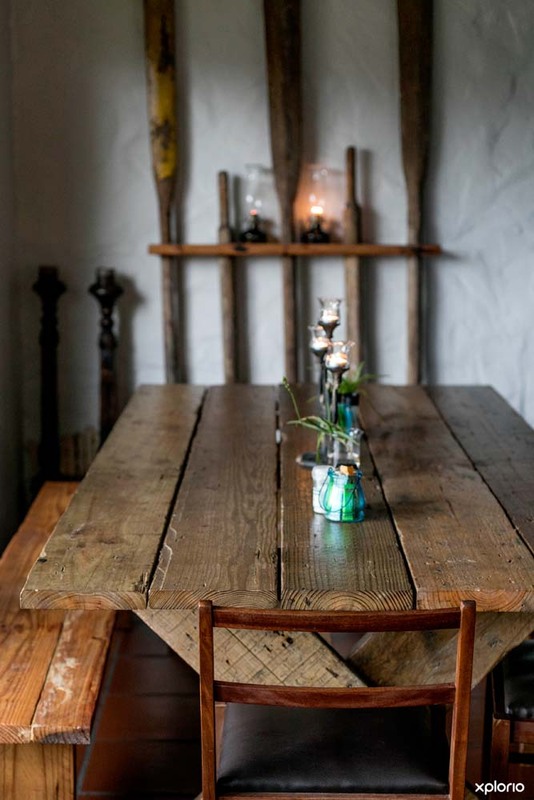 The Saxon Restaurant offers great home-cooked meals for groups of 6 or more or sometimes Caron's culinary whim presents an impromptu short board menu. 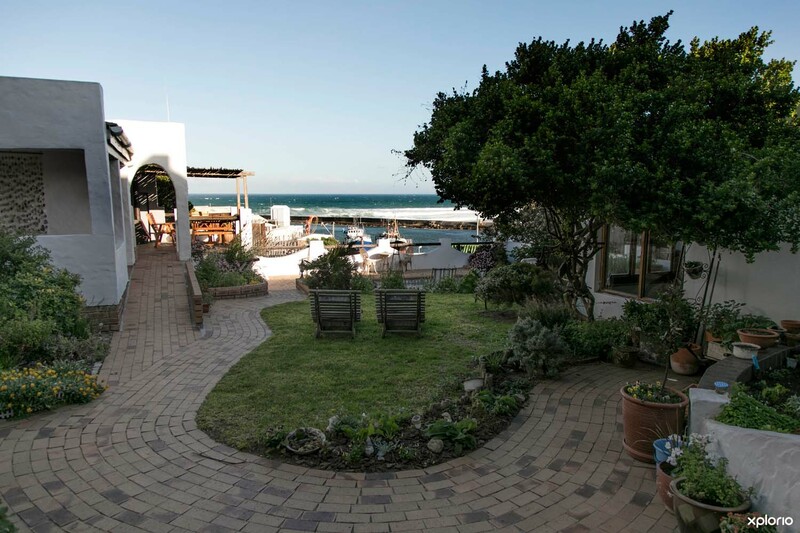 To complete the day, watching a sunset over Walker Bay with a glass of local wine or beer to leave you feeling exhilarated and in awe. 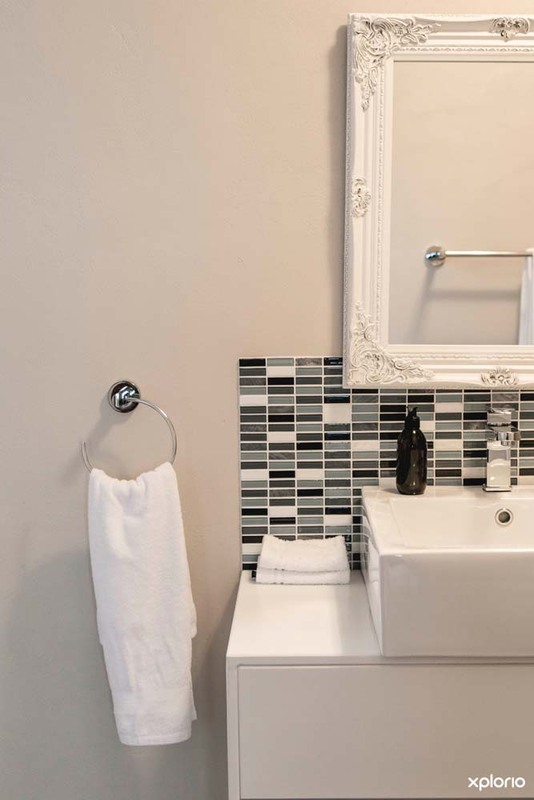 Our in-house travel desk will assist with your itinerary and activity planning and bookings to ensure that you leave with great memories of Gansbaai. 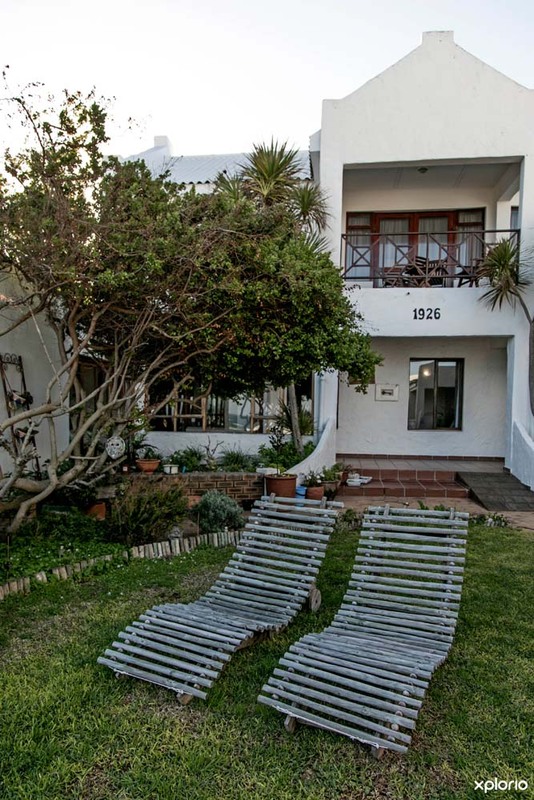 2 hours from Cape Town, 30 minutes from Hermanus and en-route to or from the Garden Route, Gansbaai offers an authentic and dramatic marine, floral and mountainous playground to explore, experience and enjoy. 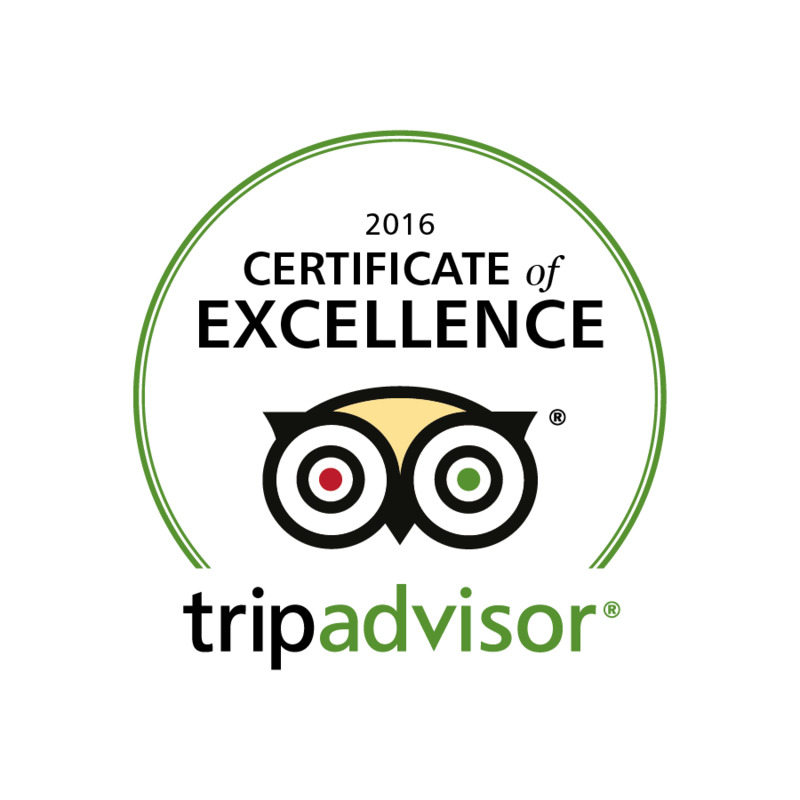 Our guests have rated Saxon Lodge as 5 star, 8 years in a row via TripAdvisor, rewarding us with a place in their Hall of Fame. 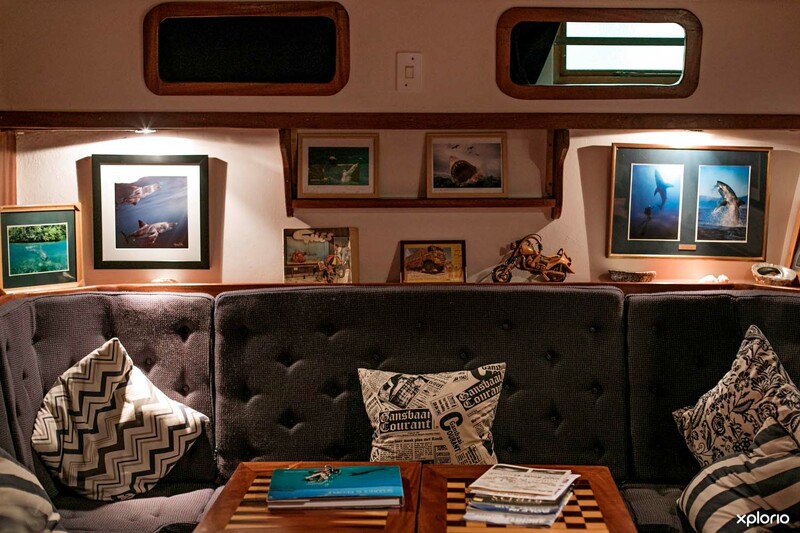 Come visit and experience our “comfortability” for yourself. 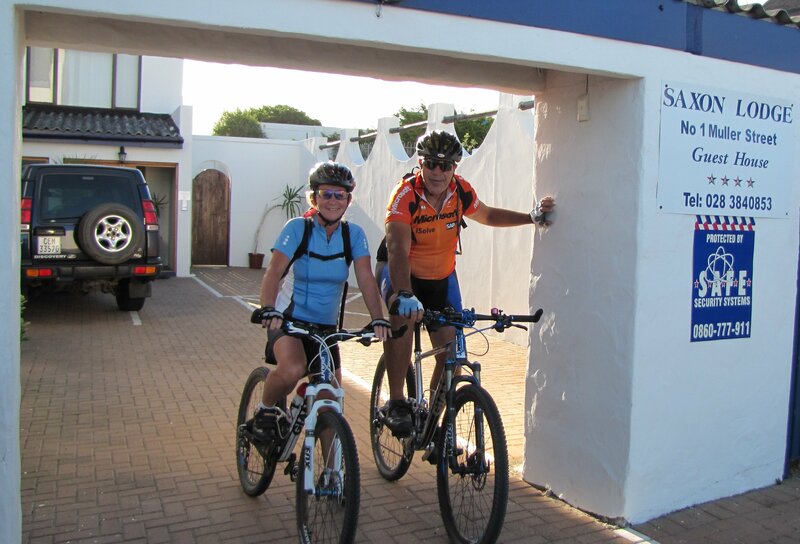 Saxon Lodge in Gansbaai, your best choice for accommodation and real South African hospitality. 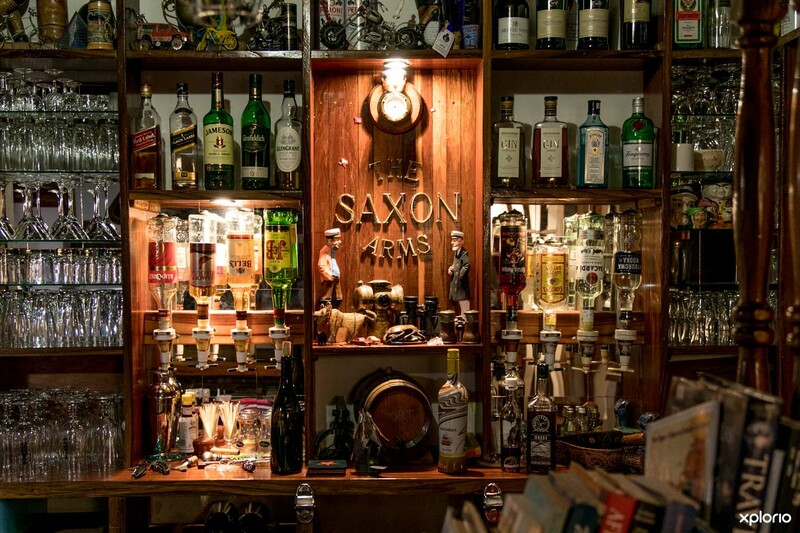 Dave’s pride and joy, the Saxon Arms is a cosy, exceptionally well stocked and enjoyed pub. 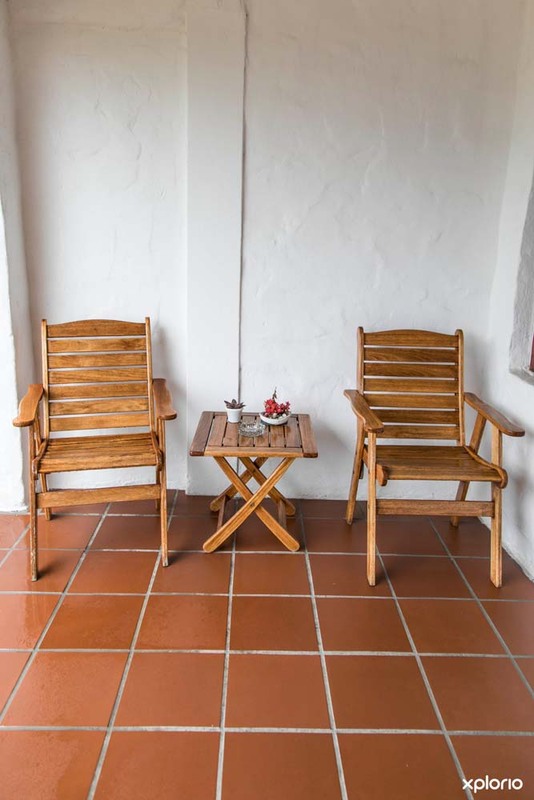 The ideal spot after a long day in the car, water or sun to simply relax, unwind and share stories with new friends whilst sipping on your drink of choice. 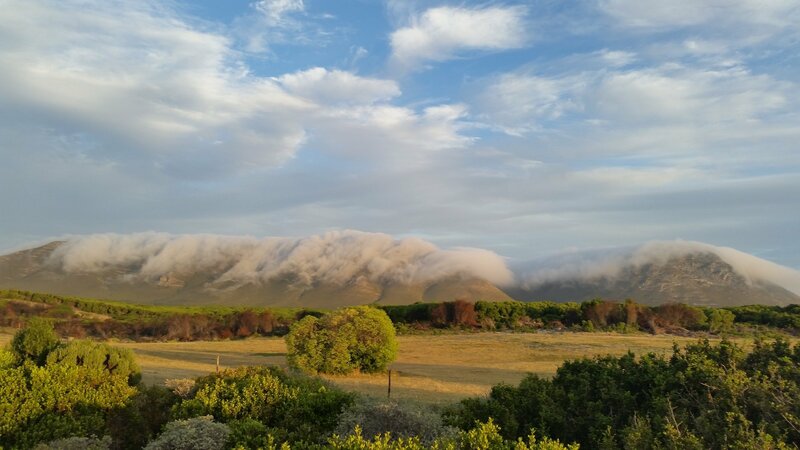 We specialise in local craft beer, a must on your beer list to try - ice cold and on tap - and wines from the Overberg region. 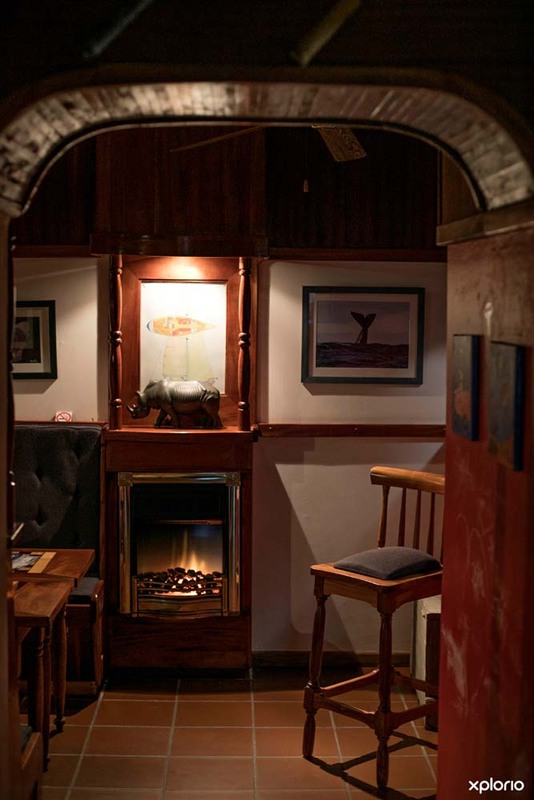 The Saxon Arms has a warm and welcoming ambiance, is a place to relax, enjoy the gentle art of conversation and laughter, listen to old music and meet new friends! 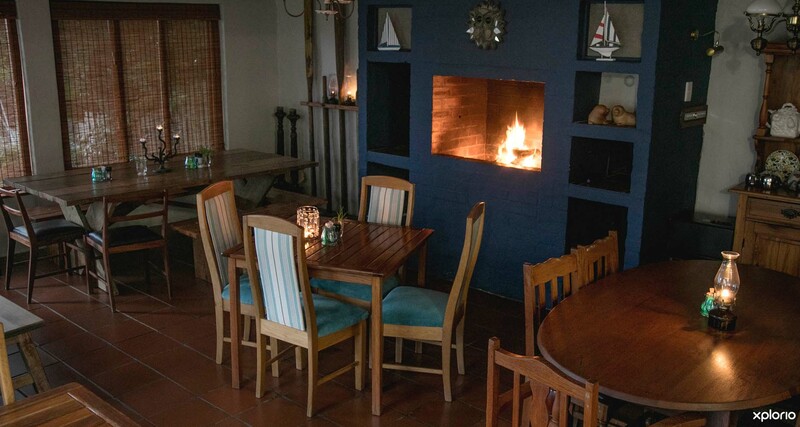 Our restaurant is highly rated by our guests if you are looking for something a little different! Our menus are dynamic and change with the seasonal availability of fresh produce and on Caron's culinary whims. BOOKING IS ESSENTIAL. It is very important that you let us know, by 12 noon on the day, that you will be dining with us as shopping for produce is done on the day and is prepared freshly from scratch. We will only do meals for 6 or more people. 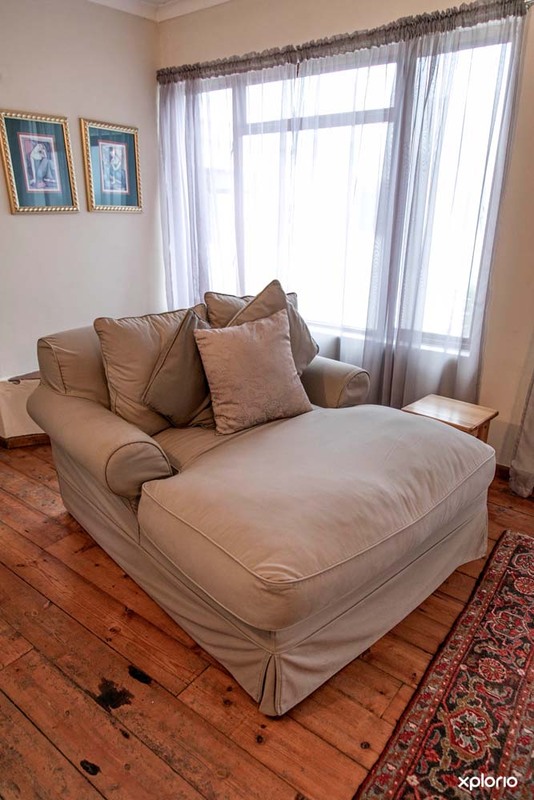 A comfortbale common lounge is available to relax with a book or magazine, or watch your favourite TV or sport programme on large screen. 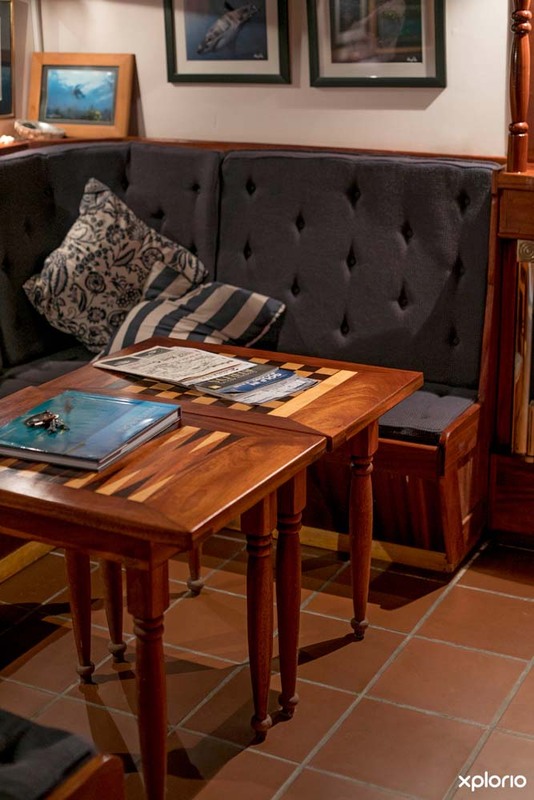 The home fire burns here in winter and creates a great ambiance to simply relax and wind down before turning in for the evening. 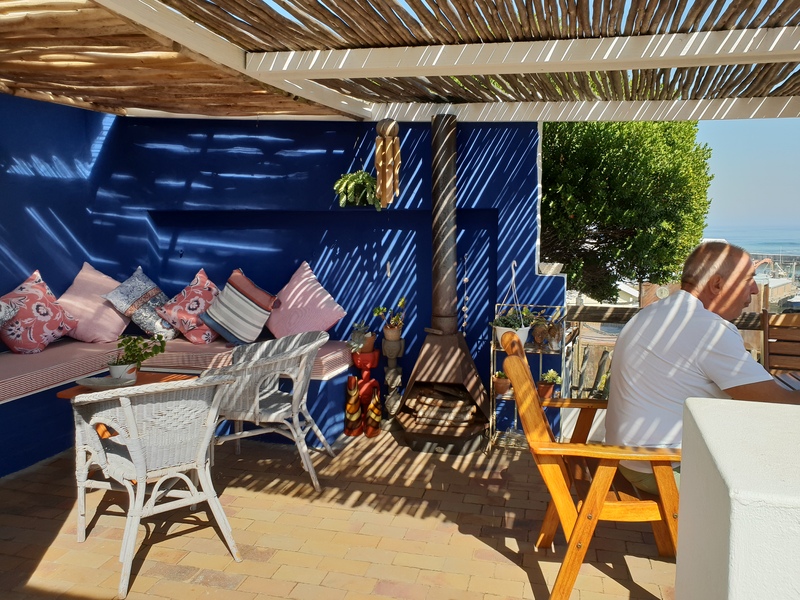 A great spot to hang out and take in the beautiful views over Walker Bay, the harbour and the Mountains in the background. 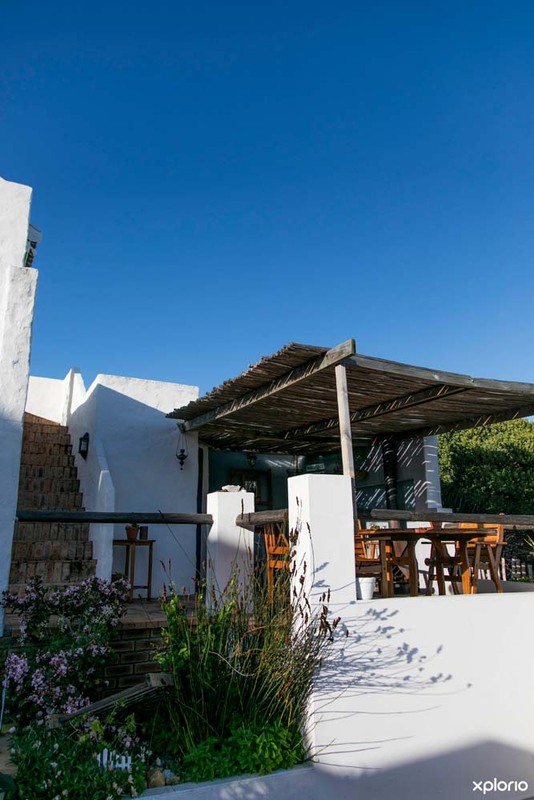 Sunsets never fail to inspire or surprise and provide a great backdrop for sundowners and lively conversation. 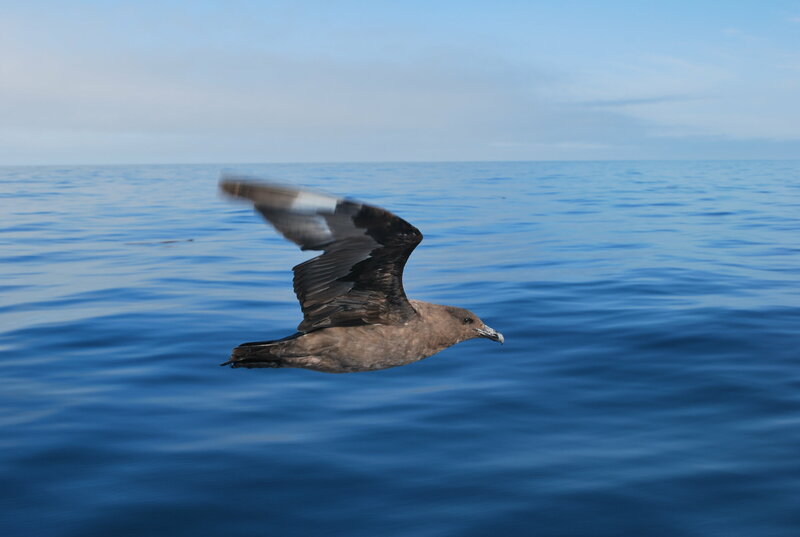 We are on hand to expose the wonders of this beautiful area we call home. 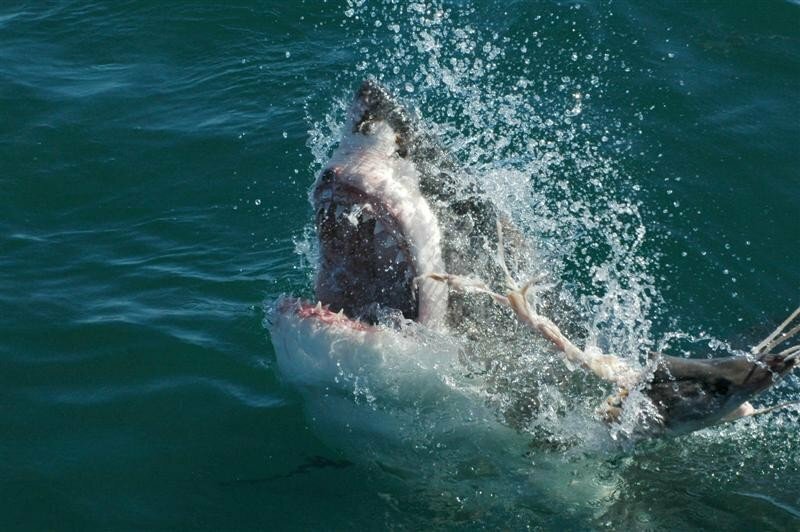 Cited as the Great White Shark Capital of the World and arguably the best land based Whale watching destination, Gansbaai offers an eco-adventure paradise for you to explore. 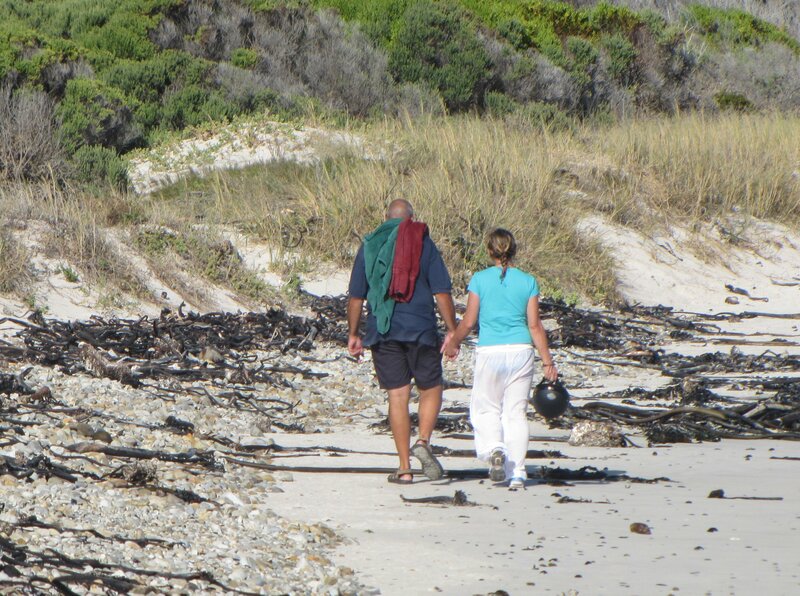 A walk along the cliffs of De Kelders to the Stone age caves and endless white beaches or a hike in ancient forests or magical fynbos, we will ensure that you are kept busy and mesmerized in this beautiful place. 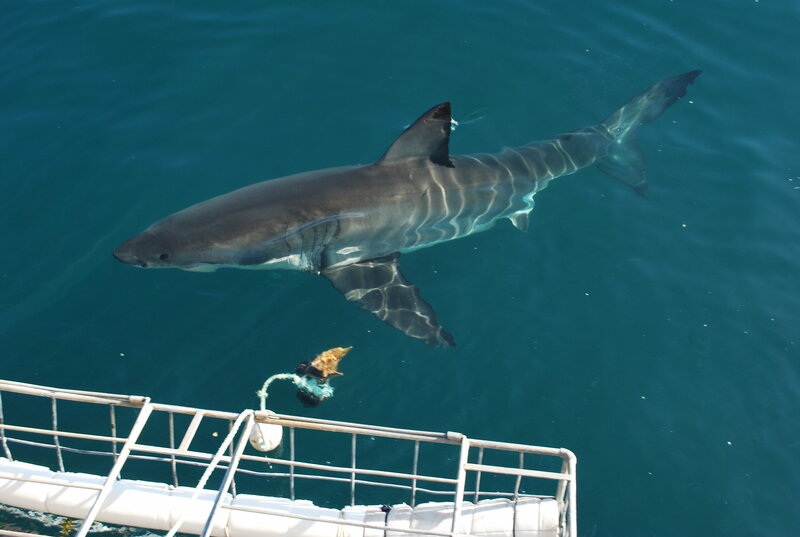 Let us know what your interests are and we will match some activities and attractions so that you make the best of your stay in Gansbaai. 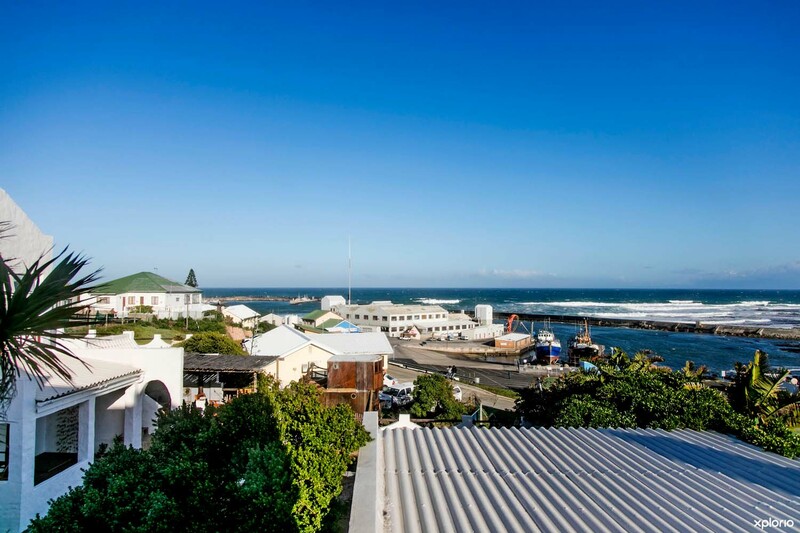 Gansbaai won Gold as the Best Destination for Responsible Tourism in the World in 2015, which highlights the natural ethos of our business and social communities. 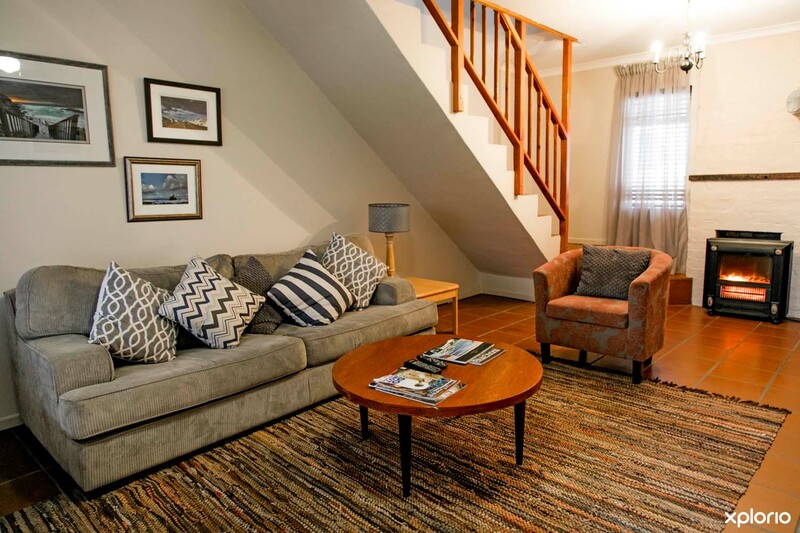 Same day direct bookings entitle you to a whopping 33% discount on rates.